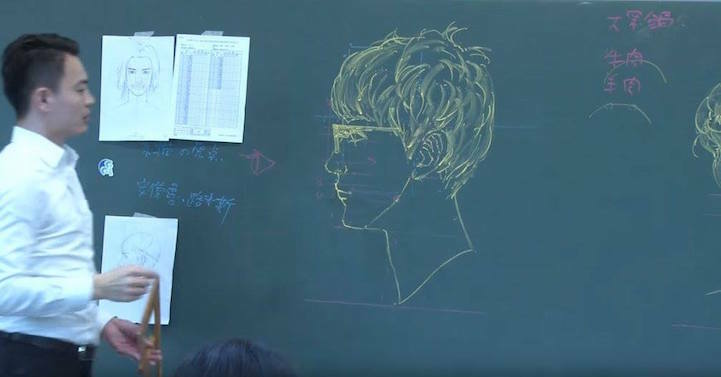 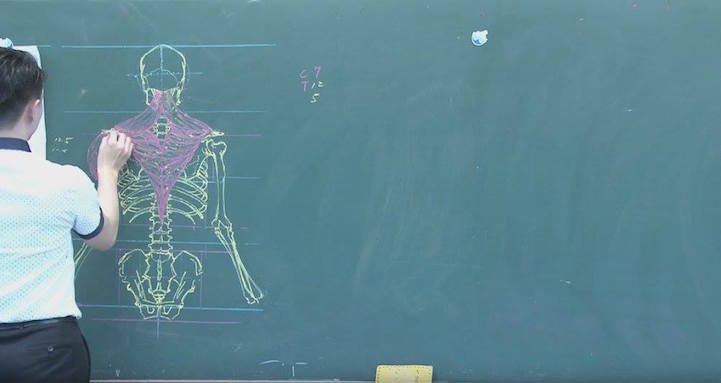 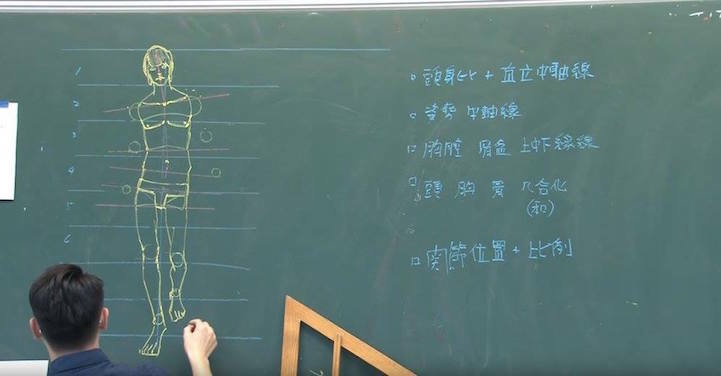 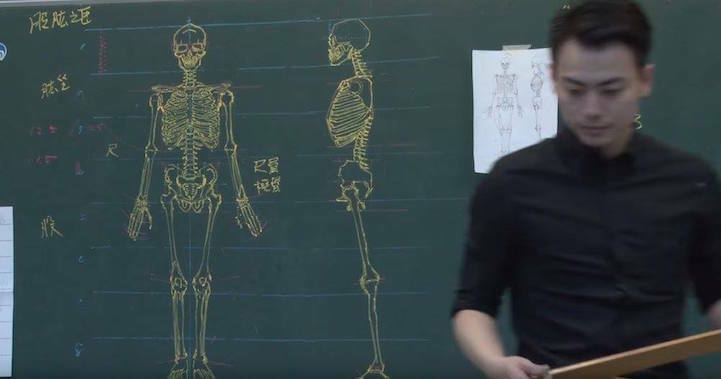 Taiwanese illustrator and instructor Chuan-Bin Chung (鍾全斌) teaches his students about the most minuscule inner intricacies of the human body using an elementary material: chalk. 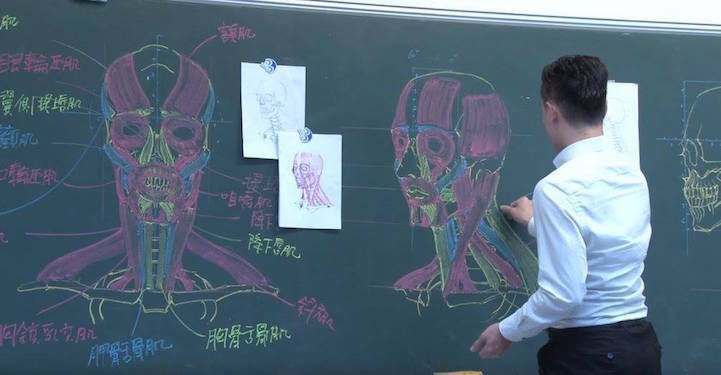 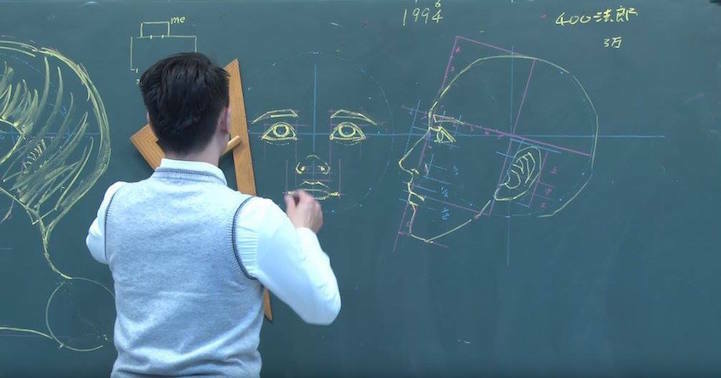 During his demonstrative lectures, he creates meticulously accurate chalkboard drawings of anatomical forms, from the muscles of the face to full skeletal structures. 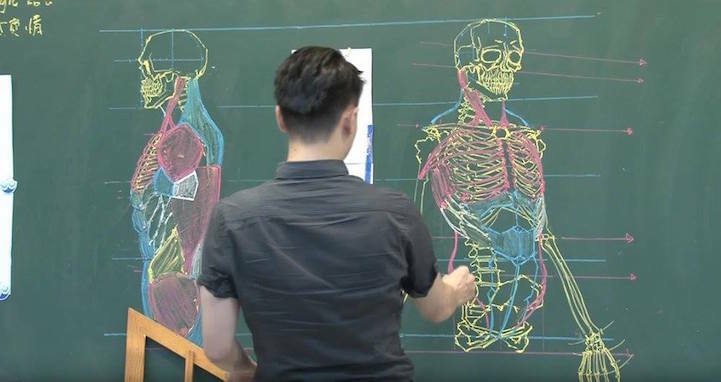 The scrupulous sketches are both informative and aesthetically inspiring, merging Chung’s passions and proficiency in both biology and art. 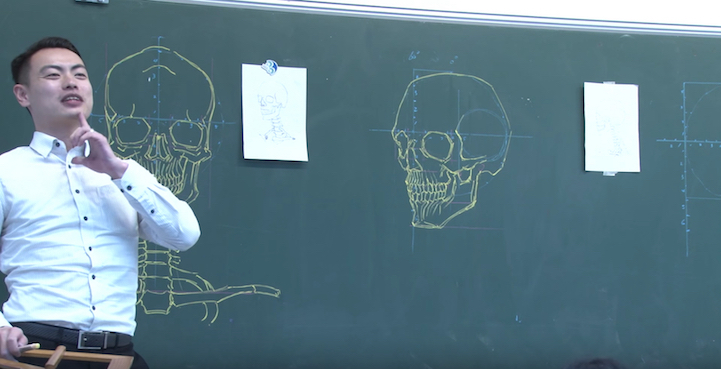 He’s not too bad with a dry erase marker, either! 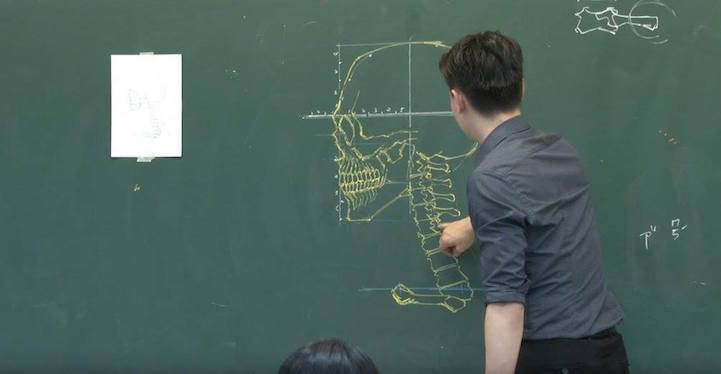 All images via Chuan-Bin Chung.